Paris Letters is a blog-turned-memoir about Janice’s journey from a burnt-out advertiser in California to a relaxed artist in Paris. She decides to save up enough money so that she can quit her job and travel until she finds her new calling. The trip takes her to many parts of Europe, but finally has her settling down permanently in Paris with her new beau. The language barrier between them is a challenge, but doesn’t seem to be an issue. For a more complete summary, you can go here. To visit Janice’s blog, you can go here. I loved the first half of the book. I am at a time in my life when I am trying to figure out what to do and where to live. Janice makes it seem so easy to let go and stop feeling stuck. She took control of her life and savings and was brave enough to move across the world. She condensed all of her stuff to a couple of suitcases and released anything that kept held her back. For such a terrifying idea that most people would never actually do, she made it all sound very freeing and wonderful. The first half also explained how she got adjusted to the life of traveling and the beauty of Paris. I didn’t like the second half of this book. She started to complain about tourists in Paris, which was hypocritical since she was a tourist not too long ago. Also in the second half, Janice’s timeline starts to jump around and it’s never really clear how long into her journey it is—a few weeks or a few years. She also brings in friends and characters that she doesn’t introduce or make relevant beyond the one scene that they’re in. She also makes it seem like the transition to living in France was pretty easy. She mentions a few challenges, but overall her adjustment seems unrealistic and too incredibly simple—like she was leaving out the unpleasant details to make her traveling seem more perfect. Overall, I enjoyed this book. It wasn’t really what I expected going into it because I don’t like to know anything about a book before I start reading it. I just got this book as per a recommendation, so I wrongly assumed that it would be a novel, not a memoir. That’s not a big deal though. I think the book would have been better if it was a little more cohesive—but since it was her blog turned into a novel, the jumpiness makes sense. But I am also not a huge fan of memoirs, so I may be slightly biased. 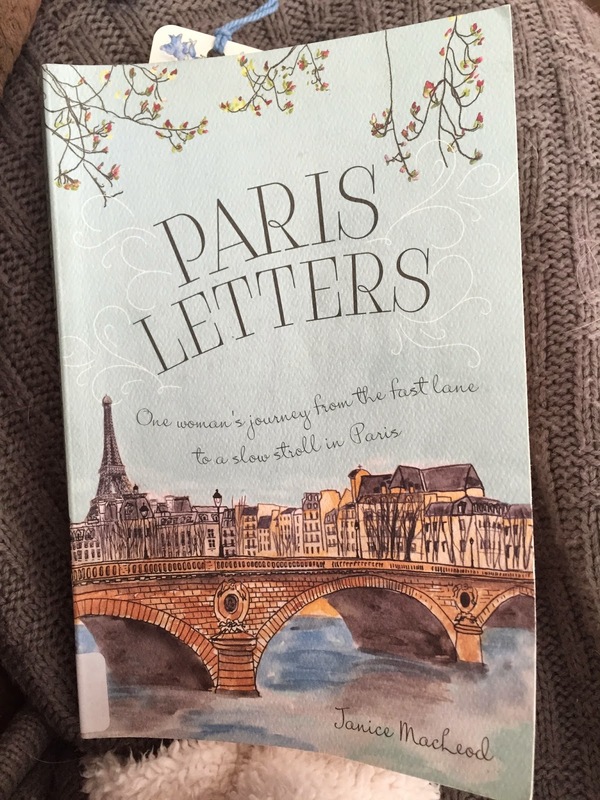 I would recommend Paris Letters to women who love memoirs and travel stories. If you are interested in buying the book, you can buy it here. After you have read it let me know what you think! Get new reviews and articles sent to your email.